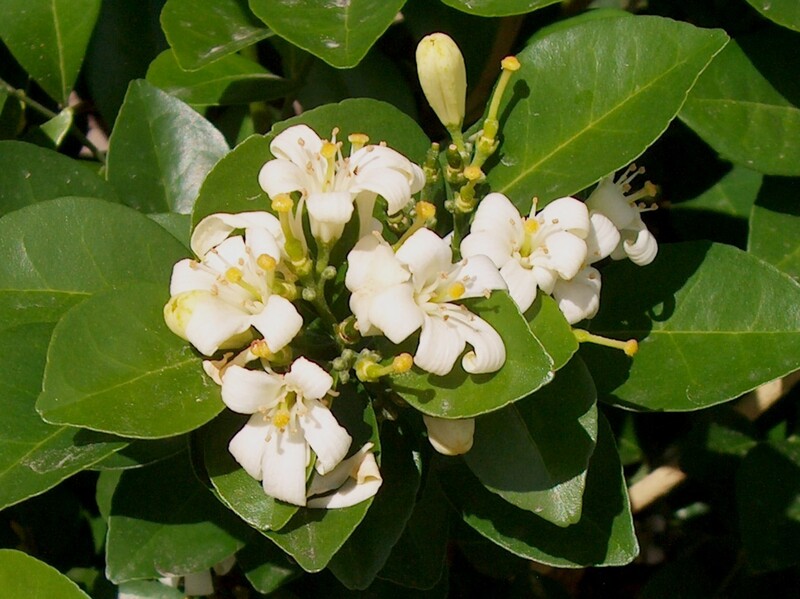 Comments: Lakeview jasmine is a small, tropical evergreen tree that produces glossy foliage, and highly scented white flowers during the year in warm climates. It is reported that this plant is primarily used for hedge/privacy plantings, but plants can be selected and pruned to form specimen evergreen tree forms (standards). In cold climates this plant can be grown in containers and given protection during the winter months.